Earlier this summer, we were proud to be able to announce the names of each of our 2016 College Scholarship recipients. This year, there were so many deserving candidates with inspirational backstories and exciting goals, whether to be able to return to school after a long absence in hopes to renew a career path or just starting out as a college freshman with dreams of being able to help others with their future job. We are honored to be able to help these seven students get a little closer to their goals. Throughout the following months, we will continue to feature each one of our recipients on our blog, so sign up for our newsletter so you can get notified every time we publish a new blog. Previously, we have featured Macy and Jared. This week, meet Tiffany! Tiffany feels that, despite the odds, she was given this challenge in life to help her learn and grow to be a better person. 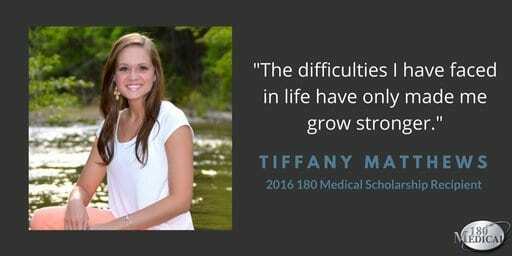 While it made growing up difficult at times, and she has been through multiple surgeries, which are never easy, Tiffany has maintained a sense of optimism and determination that defies the odds. I will never quit trying something new. I hope to be an inspiration to a young girl who wishes she could dance but thinks she cannot or a young boy who wants to play football but thinks he will never be able to. 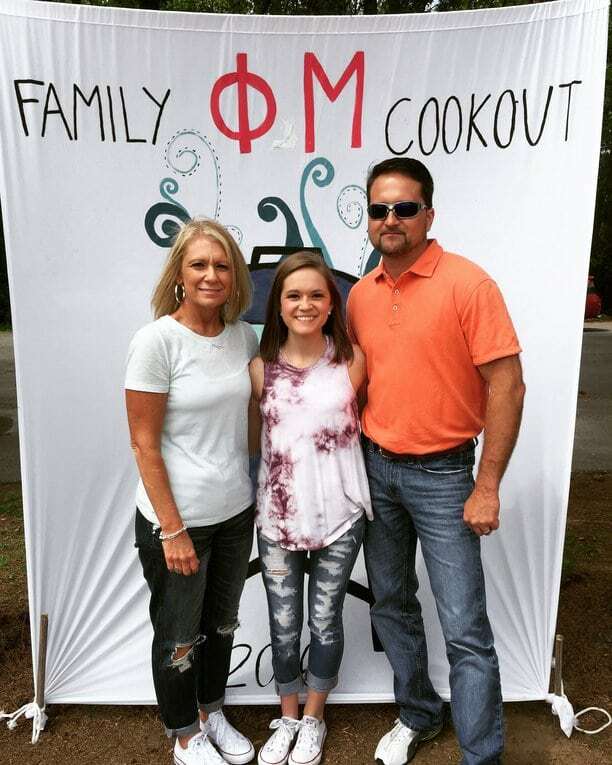 As of the beginning of the fall semester, Tiffany has begun her first semester of college at the University of North Alabama and is planning on a major in Exercise Science. Her ultimate goal is to pursue a career in pediatric physical therapy so that she can help children with their disabilities as well as hoping to keep them optimistic too. We are sure that Tiffany will continue her impressive forward momentum in life and positively affect others’ lives with her story and her future career. We’ve announced the seven recipients of this year’s 180 Medical College Scholarship program. Follow along as we continue to feature each recipient and some of their inspiring stories on our blog.